This is the necklace featured in the Spring 2015 Perles Et Cetera magazine. 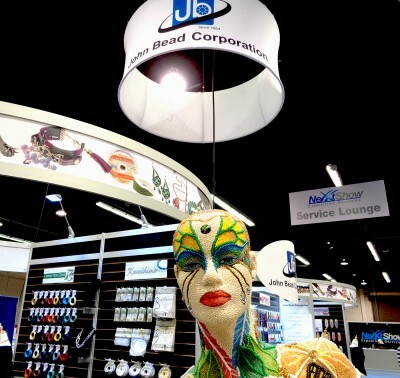 Designed by Carmi Cimicata for John Bead Corp and Dazzle-it. 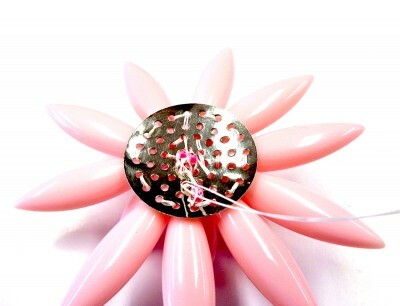 They did a beautiful job showcasing the design and the step by step flower brooch project. The magazine is published in French, so this is the English translation of the article and how-to. As the Social Media and Marketing Manager for John Bead I am in the enviable position of seeing products that will be released to our customers six months to a year in advance. It is so difficult to keep many of these product launches a secret! John Bead invites you to take an imaginary trip to a faraway land that has been in the American spotlight for almost two decades. We are excited to introduce our new program inspired by the colors and flavors of Brazil under our house brand Dazzle-it™ – Make it shine. Our new collection is called “Tropical Punch.” For almost two decades Brazil has captured the interest of international investors and has been in the media as one of the most unique and effervescent melting pots in the world. Our Tropical Punch product line translates the trendy colors of Brazil, the sensuous style of Brazilian women and the joyful vibe of the country. 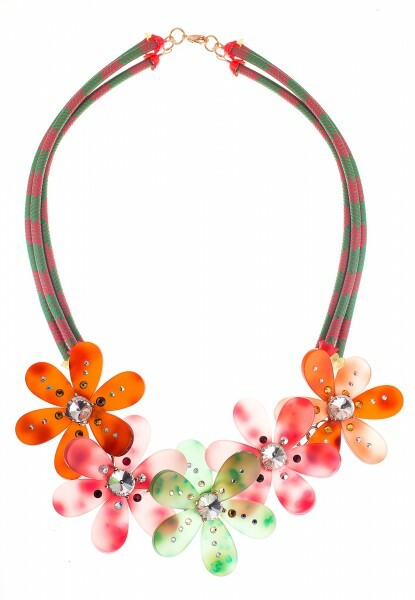 Included in the bigger collection are several unique components that I used to make this tropical flower necklace. 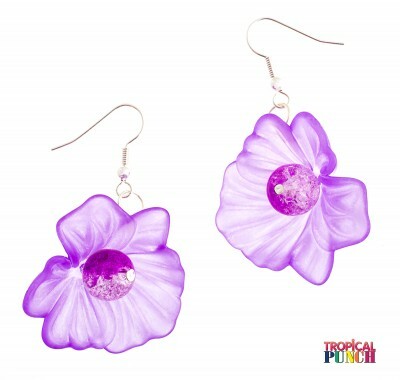 Tropical Punch features opaque round and teardrop shaped beads in many colours. 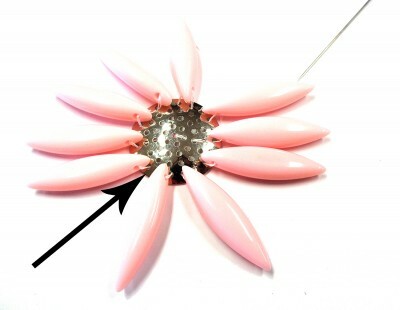 Once combined, they can create exotic and spiky flowers when sewn through a multi-hole metal component. This component, also known as a perforated disk has an easy-to-attach backing pin that makes your completed projects look professionally finished. 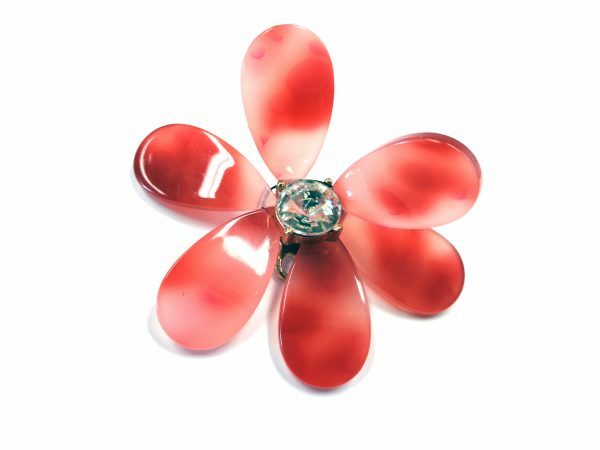 I will show you how easy it is to make retro flower brooches, which you can wear as is or attach to a necklace as I did for my finished sample. My first group of beads I sew side by side (leaving no openings) around and into the edge of the disk. It will feel like they are too loose and floppy at this point. Do not worry; we are about to fix that in the next step. When the first row is in place, I then take my needle and thread up through the disk and only sew through the beads themselves. I pull my thread as I go and you will see your petals are better positioned. 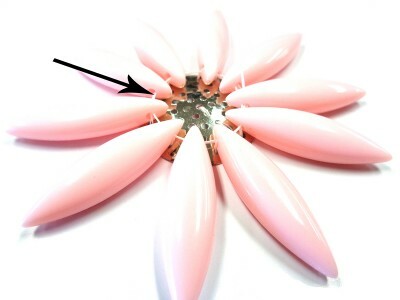 This extra step tightens the petals beautifully and you can see a true flower shape now. With my needle still threaded I sew back down into the disk. 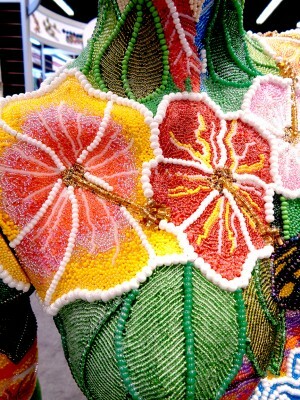 One large bead can be used as the flower center. I sewed this bead twice to the disk to ensure it was firmly in place. 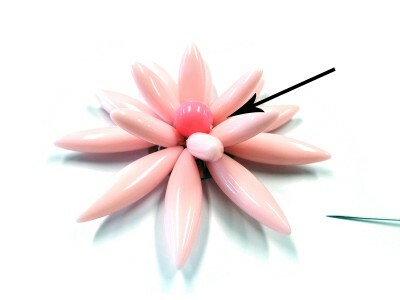 This bead also helps to retain the flower shape of the second row of petals. The back of my disk looks quite neat. I used a tiny bead as a bead stop and knotted my thread when I was finished. Once you get the hang of the original flower shape you can begin to experiment adding in extra flowers and beads as I did. As long as you can run your thread through the, disk the extra embellishments will stay in place. I make sure that you do not see any part of the metal disk with extra beading. 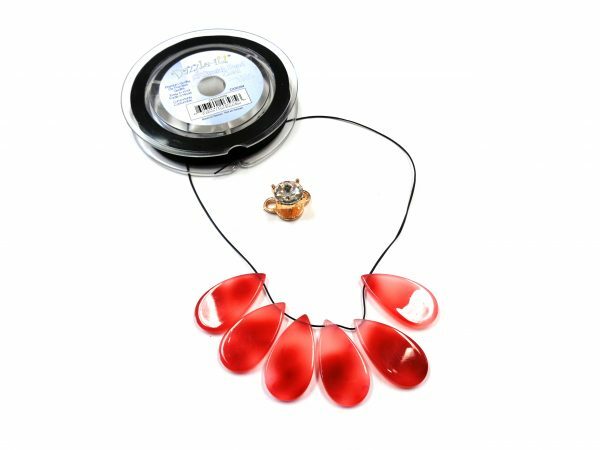 When you have finished your sewing, the disk pin back easily fits into place and you can use a plier to press the tabs down so the back is then attached to the front disk. It looks beautiful now! We also have a collection of polyester pipe which is a colorful, flexible and versatile hollow plastic pipe covered with polyester thread. This material offers unique functionality and is a great product to be incorporated into many multi-media applications. You can see how I cut two pieces of the pipe and positioned them side by side before gluing on two end caps. 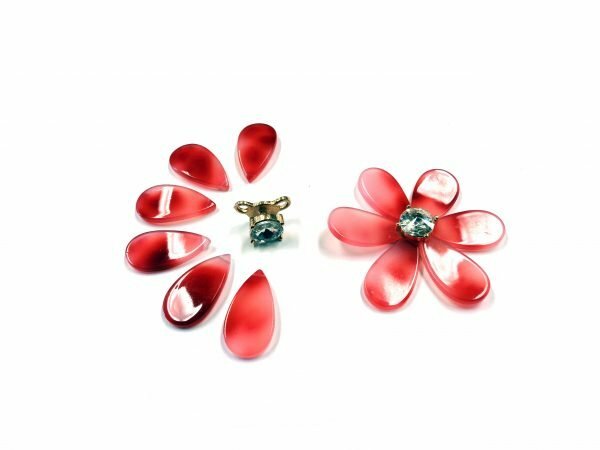 I can’t imagine a faster way to create a unique necklace to showcase my tropical flower brooches. I just pined my flowers to the double pipe. Since my project was completed so quickly I took a moment to see if there was any further embellishing I could do. Happily, Dazzle-it also has a collection of Faux Suede Tassels. A jump ring was all I needed to complete this look. 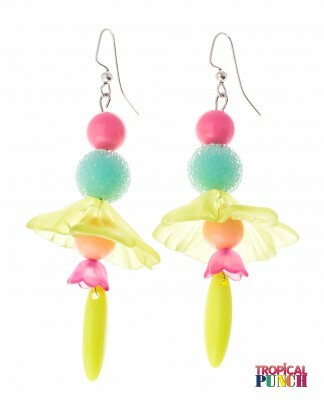 Matching earrings were made in moments with just a bead and tassel. 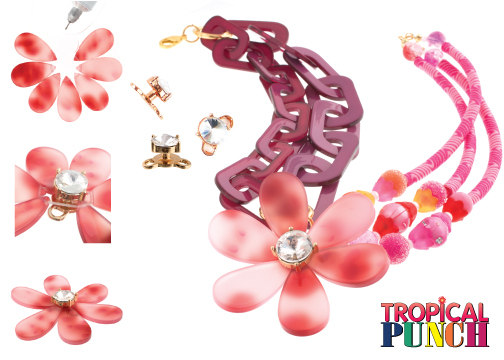 I hope our Tropical Punch collection encourages you to “turn your life into an endless summer.” You’ll find more ideas on our blog and Facebook pages. 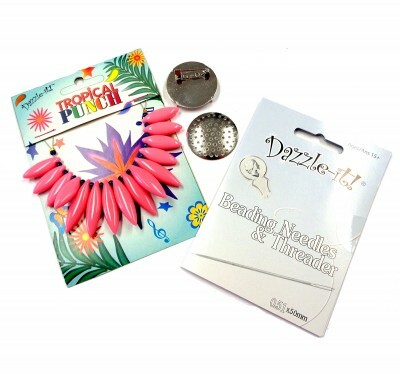 Turn your life into an endless summer with the most colorful and fun creative DIY components from Tropical Punch. 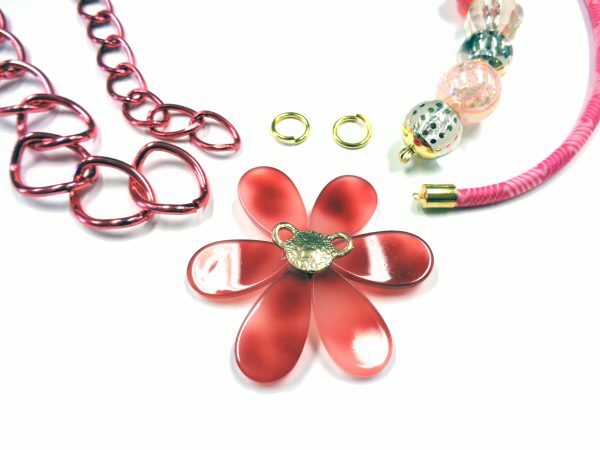 The collection includes a luscious assortment of Lucite flowers and chain, round and tear drop beads, three dimensional flowers, filigree components, sliders, a unique metal flower maker, retro flower components and polyester pipe. 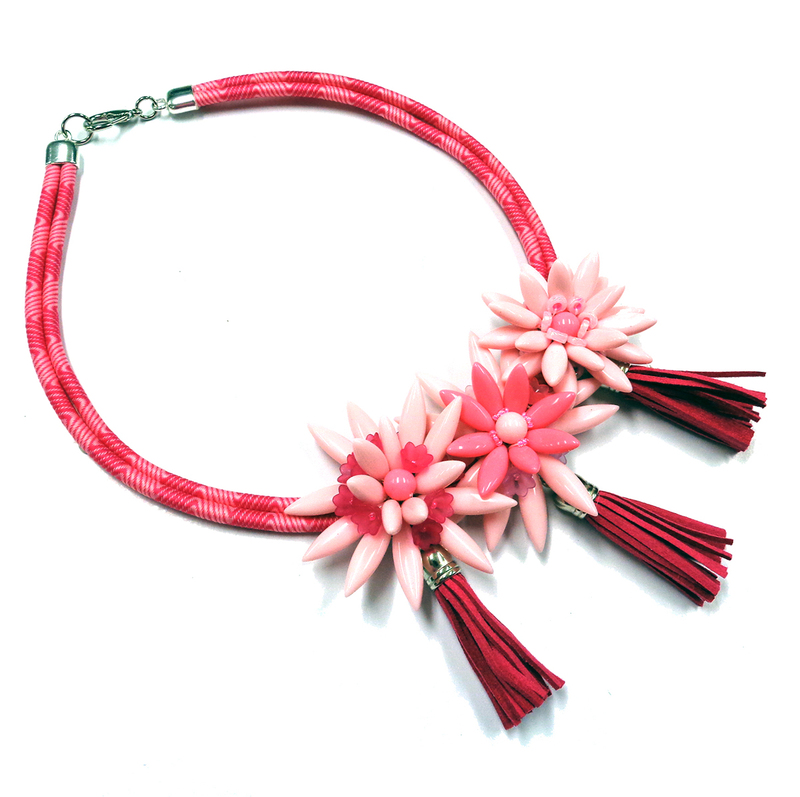 This necklaces was designed by Our Creative Manager, Fernando DaSilva. 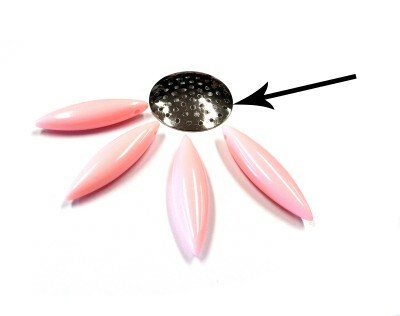 The Flower Maker is an intriguing metal component with a clear rhinestone in the center that will enable you to easily create flowers combining stretch cord and curved Lucite petals. 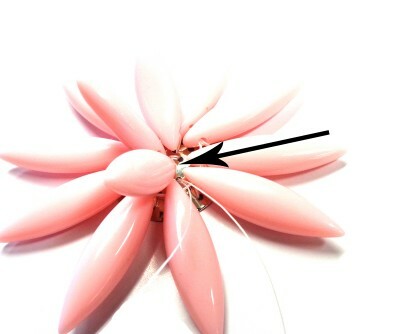 The flower maker has two rings on opposite sides, which can be linked by jump rings and built up into small or large sections. 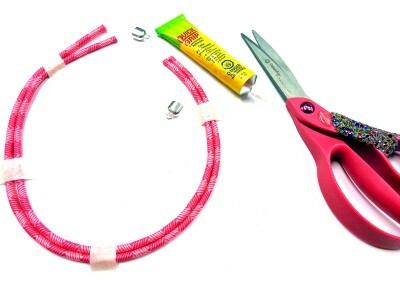 Once a flower is made, it can be used to create necklaces or bracelets as well. 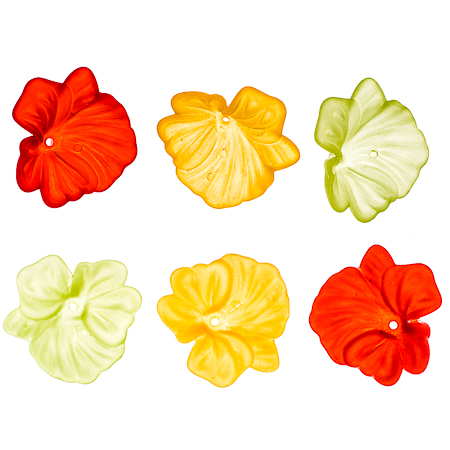 Our acrylic curved petal beads are offered in six colors. 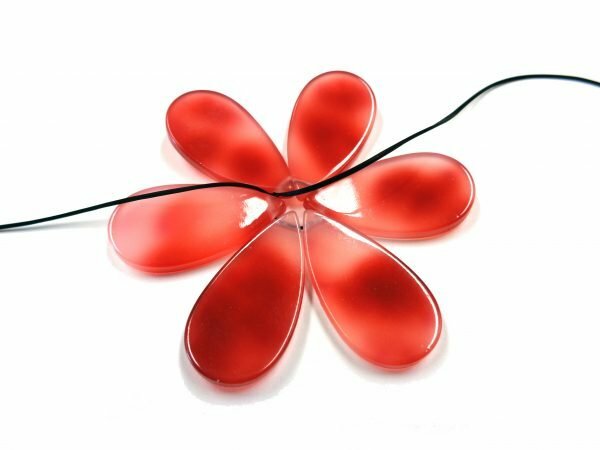 Featuring a predrilled hole through the side and at the top of the bead, these petal drops can be strung onto stretch cord to form a flower. 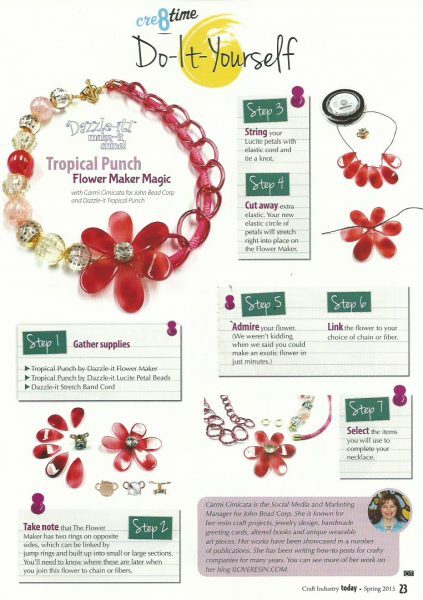 Combine them with our flower maker component to create flower links that can be assembled into bracelets or necklaces. We have a wonderful collection of Preciosa Viva 12 flatbacks that are perfect way to make your flowers even prettier. 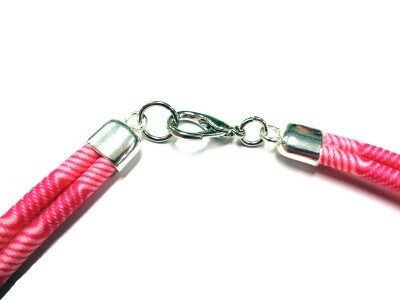 They are available in a variety of sizes & colors. 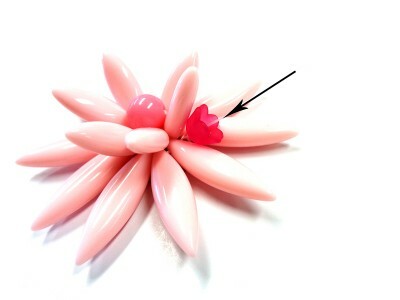 There is a tutorial showing you a step by step to make these flowers in minutes right here on the blog. 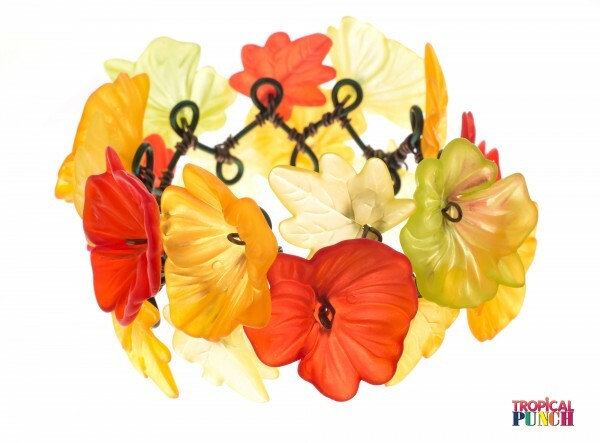 The flowers featured in this unique wire wrapped bracelet by Fernando DaSilva are Tropical Punch Hibiscus Flower Bead Caps. 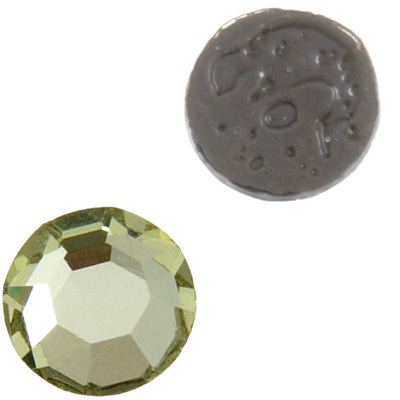 There are three color options for these special bead caps and you can see in all the examples Fernando created they can be used in many different styles. This is the frosted red/yellow limelight collection. Here is a cap in an earring application. 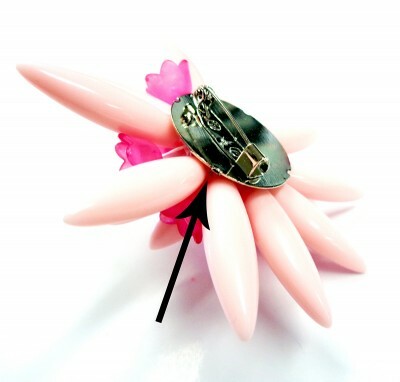 In bracelet designs, they can frame some of the other gorgeous Lucite beads. The flowers are lightweight and the frosted colors add a beautiful glow. When spring is in the air you can’t help but think of color. The Latest from John Bead – Introducing Tropical Punch! We at John Bead are stepping into the New Year by inviting you to take an imaginary trip to a faraway land that has been in the American spotlight for almost two decades. We are excited to introduce our new program inspired by the colors and flavors of Brazil under our house brand Dazzle-it! – Make it shine. 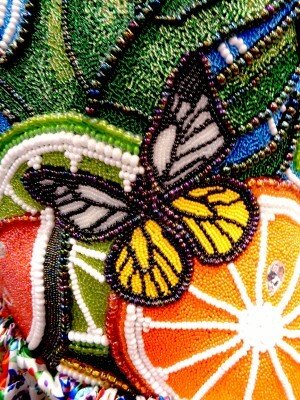 Inspired by the colors and rhythms of Brazil, John Bead & Dazzle-it™ invite you to turn your life into an endless Summer. Transform your DIY section into the most colorful and fun creative space on earth. 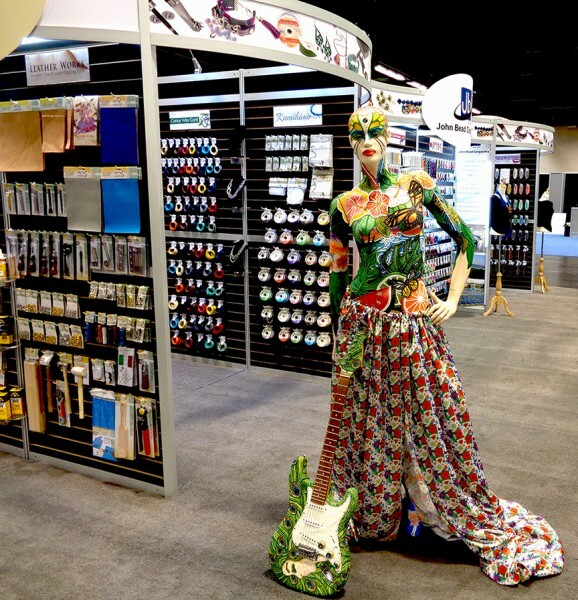 Talk to one of our sales associates and add Tropical Punch to your design creations and blame it on Rio! Tropicalismo is the artistic inspiration behind our product line. It was an art movement that exploded in Brazil in the late 60’s and early 70’s and crossed many artistic disciplines, like music, poetry, dance and writing. It critiqued and challenged cultural norms. The followers of the movement were intellectuals from different cultural backgrounds but who had in common the ideal of a cultural melting pot, i.e. 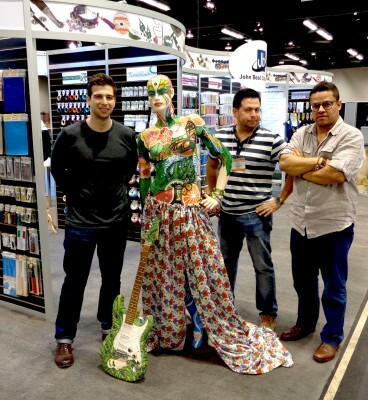 the musicians who like to mix samba drums with electric guitar and were huge fans of American pop culture. Influenced by this art movement, our creative manager, Fernando DaSilva (who is Brazilian) hand drew the artwork for our package which summarizes all the elements that were the main sources for movement. 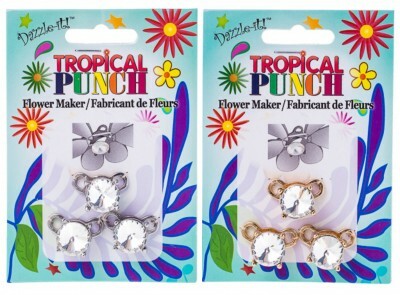 There are over 100 products in the complete Tropical Punch Collection. 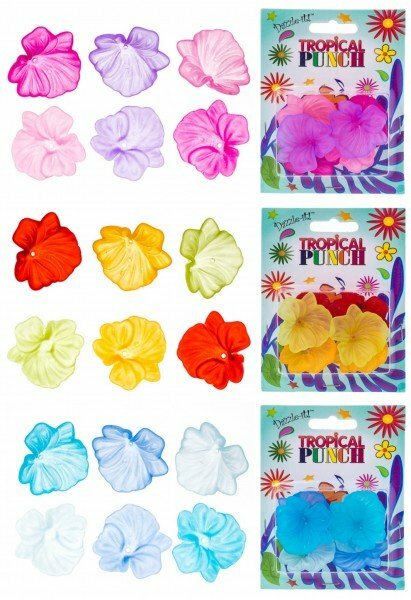 We are launching our Tropical Punch collection this Saturday in California at the Craft and Hobby Show. The ordinary becomes extraordinary with this exciting new program. Editorial photo taken to promote the latest product line by John Bead & Dazzle-it! 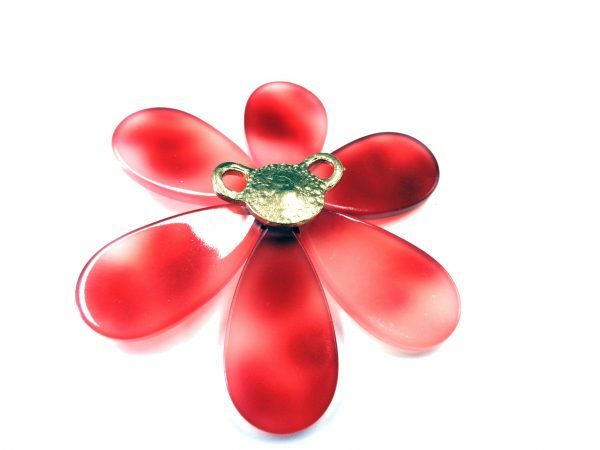 It’s all about Lucite, Plexiglas or acrylic components to create fun and vibrant Jewelry inspired by the colors of Brazil. Photo by John Bead Corp. 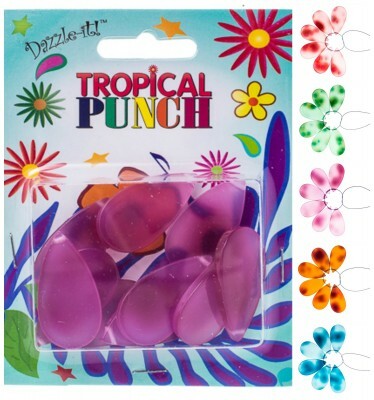 Author Carmi CimicataPosted on January 7, 2015 March 23, 2017 Categories Craft and Hobby Show, Tropical Punch!Tags Tropical Punch!Leave a comment on The Latest from John Bead – Introducing Tropical Punch!